It was a full house last night at the Empire Theatre to see the 60th Diamond Anniversary Tour of Agatha Christie’s The Mousetrap. 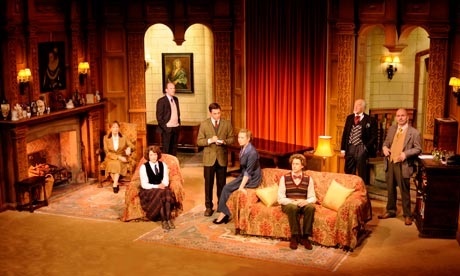 Not knowing the story, it was with great interest I watched the play open in a very typical wood panelled old hotel. The cast, also in the 1950s style, gave an authenticity to the era it was set in, using dialogue that I remember as a child, like ‘who turned that wireless on’. The different characters arrived at the hotel and you were introduced to their personalities through their mannerisms and reasons for being there which set the stage for ‘the murder’ that concluded the first half. The second half was the ‘who dunnit’ as the sergeant played by Bob Saul investigated backgrounds and alibis of each person and logistics of where they were at the time of the murder. The clues were there with clever red herrings to make you doubt your judgements. The play concluded with the murderer revealed!!! Although the play was in its 60th year, the who dunnit story, like Agatha Christie’s books, kept the interest throughout. It was a classic which was on my tick list to see and I was not disappointed.